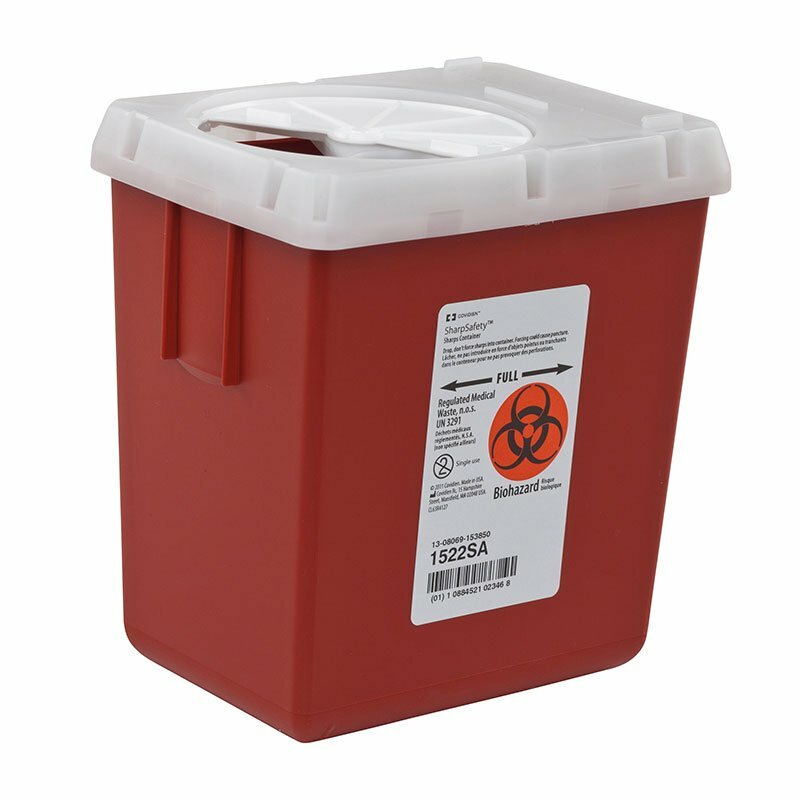 The Kendall Covidien Phlembotomy Sharps Container AuotDrop 2.2 Quart Red has been engineered to allow for safe and proper disposal of all sharps. This specialty container meets all safety standards when it comes to the storage and disposal of used and contaminated needles. Please check with your city/county to see how they want these containers disposed of. The portable phlebotomy containers are designed to fit into blood drawing trays for the efficient disposal of blood, hypodermic and IV needles. These containers allow for temporary and final closures. Contains 1 SharpSafety Phlebotomy Sharps Container, 2.2 Quart - Red.